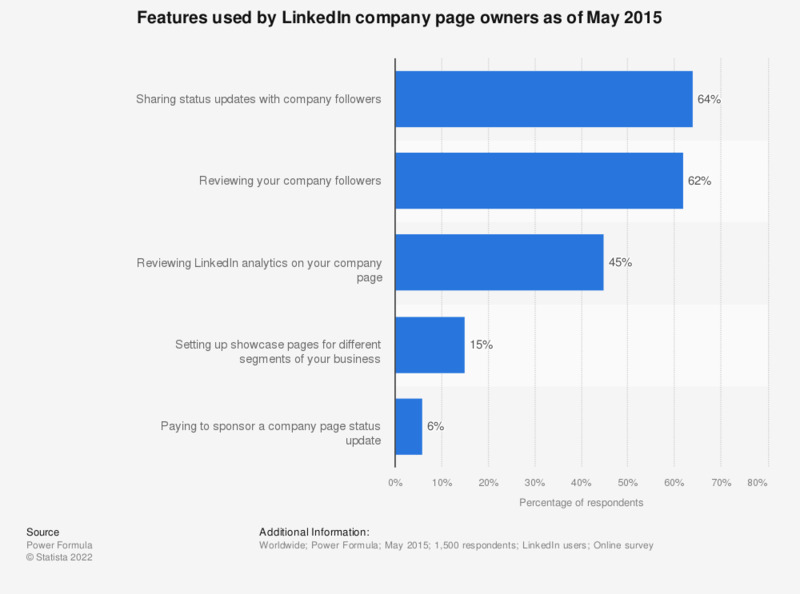 This statistic gives insight on the most popular LinkedIn company page features. According to a May 2015 survey, 64 percent of LinkedIn company page owners used it to share status updates with company followers. The date of survey is presumed.